I am constantly amazed by the sheer number and variety of historically inspired fictional series available to children today. But while this is indeed exciting, and a great way for kids to learn about their past, I also sometimes worry that this great barrage of fiction might make it all the more difficult for kids to pick up a non-fictional history book. 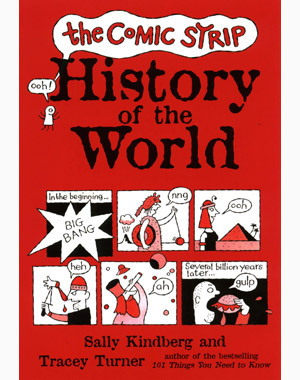 I have, over the years, encountered some terrific books aimed at making history accessible to younger readers. 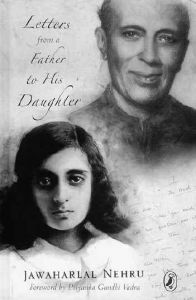 Perhaps the earliest Indian author writing non fictional history for a young audience – even if it was his own daughter – Nehru’s letters are remarkable for their depth and understanding of the complex workings of world events. This is all the more remarkable given his circumstances – these books are compiled from letters and essays written by the author while in incarceration, in laborious longhand on prison-issue stationery, with limited access to research material. Written in 1928, Letters from a Father.. is the slimmest of the three volumes, consisting of 30 letters to his young daughter Indira, and mostly discussing natural history and a brief overview of the origins of civilizations. Glimpses of World History, Nehruji's most ambitious work, is a collection of 196 letters to Indira, written from various prisons in India between 1931 and 1933. These letters are sweeping in scope, yet sound fond and intimate. Nehruji voices his displeasure at the way history is taught in schools , and speaks of using these letters to introduce history to Indira the way it should be, as a collection of multiple viewpoints and ideas. Every now and then, he vers off-track, talking about personal experiences, recounting past memories,expressing his own fears and worries for India. Some parts sound chillingly relevant, like when he talks of the danger of religion based on fear and the evils of communal hatred. Given the prevalence of Western views on history, Nehruji takes pains to discuss the merits and strengths of Eastern and Islamic cultures. 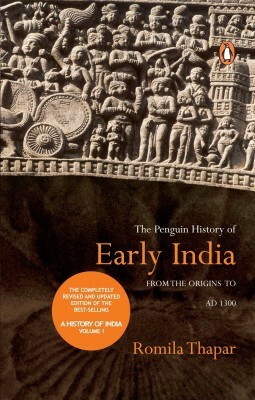 The Discovery of India, a series of essays written between 1942 and 1946, trace the evolution of India from the Indus Valley to the then-ongoing struggle for Independence from colonial rule. This book is perhaps Nehru's most personal work, he delves deeply into Indian philosophy and culture, and often muses on his own motives, philosophical outlook and purpose. This book was the inspiration for the acclaimed TV series 'Bharat Ek Khoj' , once a much-watched television classic, now preserved for posterity over at Yotube. Given how remarkable these three books are, it's a shame that they are largely forgotten today, and aren't required reading in schools. These are well written books,comprehensive without burying its young readers in too much detail and complemented by illustrations and well designed maps. Among the foremost historians today, Romila Thapar has written exhaustively on varied aspects of Indian history, culture and religion. She has also compiled history textbooks for schoolchildren, and is known for her frank, unbiased analyses and criticism of what she calls 'mainstream' or communal approaches to documenting history. While this book is not aimed specifically at a young audience, I think older children with a yen for history would definitely find her writing both accessible and informative. In contrast to most of the tomes mentioned above, this book is cheeky and refreshing, reducing each great civilization to a few, hilarious pages. In less than a 100 pages, we hurtle from the Big Bang, past the Assyrians, Greeks and Romans, on past the Chinese, Minoan and Indus Valley civilization, straight to the modern era. Silly jokes and toilet humour abound, as well as little gems of trivia on everything from the use of urine during the Black Death to Tycho Brahe's fake gold nose and pet moose. Its companion volume, the equally funny The Comic Strip History of Space is also worth checking out. Controversial historian L. Sprague de Camp’s most famous work documents the genius of the ancient architects and inventors, showing how the growth of technology and innovation powered the growth of civilizations. “Civilization as we know it today”, he declares right at the beginning of the book,”owes its existence to the engineers.” The book makes for fascinating reading, joining up the dots between a civilization's maturity and its thirst for knowledge, its cultural and political development with its appreciation for innovation. Interspersed with discussion of the evolution of technology (and, therefore, humans) are interesting stories about the ancient rulers, as well as photographs and meticulously detailed drawing. 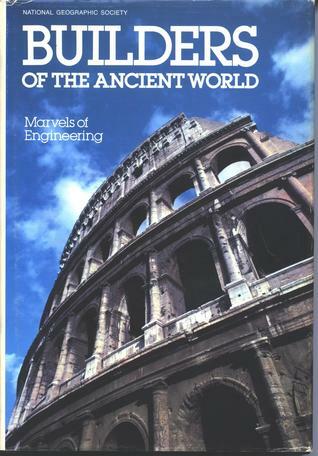 This book is breath taking in its detail – de Camp‘s research encompasses every great civilization there was, examines everything from the water wheel and the cross bow to the arch, cannon and da Vinci’s inventions. Filled with beautiful diagrams and the stunning photography that is the National Geographic's trademark , this concise book captures the engineering highlights of each of the major civilizations in a few, well designed pages. Now it can be argued that any book by Bill Bryson manages to educate us on history, culture, politics, human behaviour - all this while also being laugh-out loud hilarious. This book is no different, beginning with an inquiry of the origins of everyday objects and services we take for granted - forks, beds, indoor plumbing - and leads us, each time, into a riveting examination of the cultural and economic forces that powered their innovation. 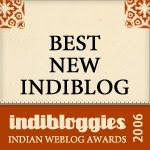 Lovely collection, Wordjunkie. Comic Strip History and Ancient Engineers seem quite interesting - will look for these. We are big fans of Bill Bryson for all the reasons you noted - especially lacing his fact-packed books with humor - his A Short History of Nearly Everything is an all-time favorite.